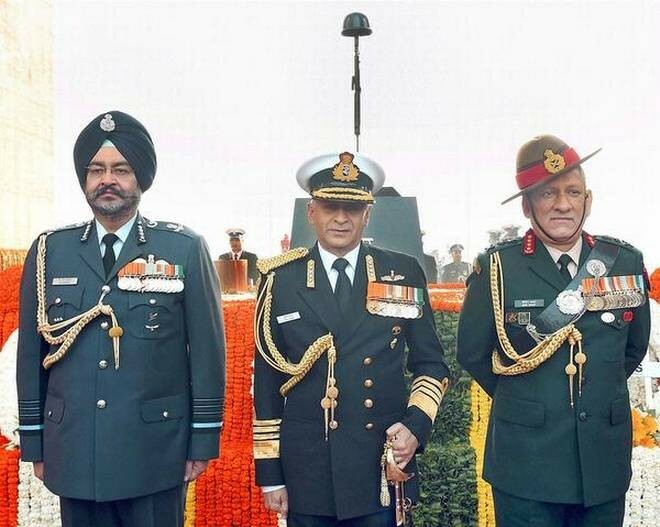 New Delhi, Feb28:There will be a joint press briefing by the Army, Navy and Air Force in New Delhi at 5 pm today. Defence Ministry Officials said they believe the air intrusion by Pakistan was an attack on military installations. "We believe that the Indian Air Force pilot was ill-treated by the Pakistan Army in violation of the Geneva convention. We believe that the Pakistan Army is actively supporting the Jaish-e-Mohammed and is harboring the leaders including Masood Azhar in its facilities. The Navy will also be a part of the joint press conference. Pakistan Foreign Minister Shah Mehmood Qureshi said Pakistan was ready to negotiate the return of the IAF pilot with India. India on Wednesday summoned the acting high commissioner of Pakistan and demanded the immediate and safe return of Indian Air Force pilot Abhinandan Varthaman who has been detained by Pakistan following an aerial engagement by air forces of the two countries. It has also been made clear to Pakistan that no harm should be caused to the Indian defense personnel, the external affairs ministry said, adding it has conveyed strong objection to the neighboring country at the "vulgar display" of injured personnel in violation of all norms of International Humanitarian Law and the Geneva Convention.